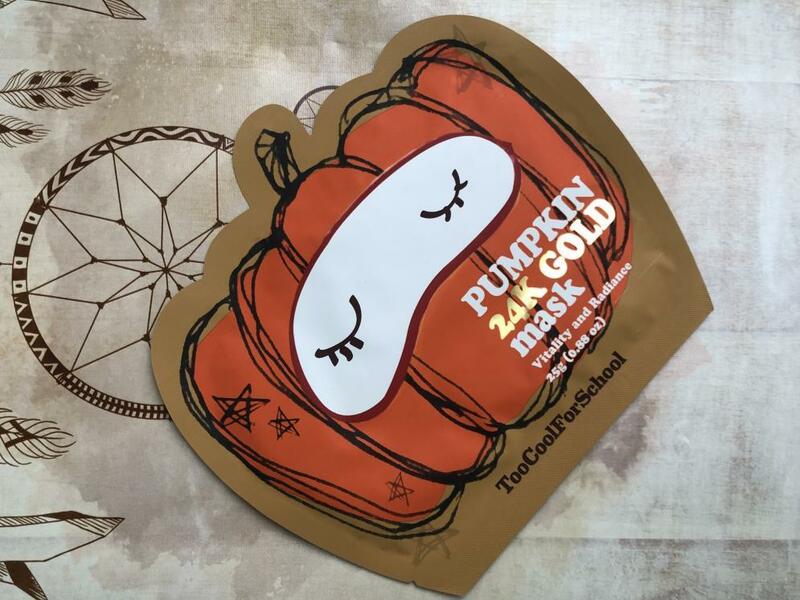 Radiant your Skin Care with the [Too Cool For School] Pumpkin 24K Gold Mask 1ea! we aim to provide you best korean products to take good care of your skin, including Cosmetics, Masks, Mask Sheet. Hydra Mask Sheet online. This environmentally conscious, and skin-friendly bio-cellulose mask provides the optimal base for holding active ingredients. Holding up to 100 times its dry weight in fluid, it fits like a second skin and delivers intensive benefits. Superfood pumpkin's soothing nutrients relieve dry and flaky skin, beta carotene adds a natural dewiness, and vitamin A supports natural elasticity. 24K gold brightens the overall appearance of the complexion, adding radiance while helping other active ingredients to achieve maximum efficacy. Cleanse face, and pat dry. Remove bio-cellulose gel mask from pouch and discard paper liners. Place on face, adjusting eyes and month. Leave on for 30 to 40 minutes for intensive treatment. Do not rinse after use. Follow with moisturizer for dry skin.